We want to thank everyone who helped make this year’s World Fiddle Day at the Aga Khan and the Ismaili Centre such a success–participants, listeners, volunteers, staff, the Guest Artists, and the Band. We would love to hear from each and every one of you about your experience – tell us what you liked, what you didn’t, your favourite moments etc. 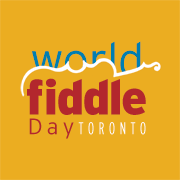 I personally want to thank the other 3 members of the organizing committee: Mary Alton, Sue Meggs and Marion Gardiner for their unfailing dedication, their enterprise and creativity, their willingness to do whatever it takes to World Fiddle Day Toronto both a reality and a success. There couldn’t be a better team. Hats off.